Kids delight in a winter break from school, but it can be a very inconvenient time for working parents. Fortunately, our regional camp providers have come through. Here are more than a dozen day camps to engage, entertain and exercise your youngsters. And a few tips from us: Note the dates for each camp, as some are operating Monday–Wednesday plus Friday, some for partial weeks, while others offer single-day enrollments. Also, check your local community center; many also offer winter break camps. 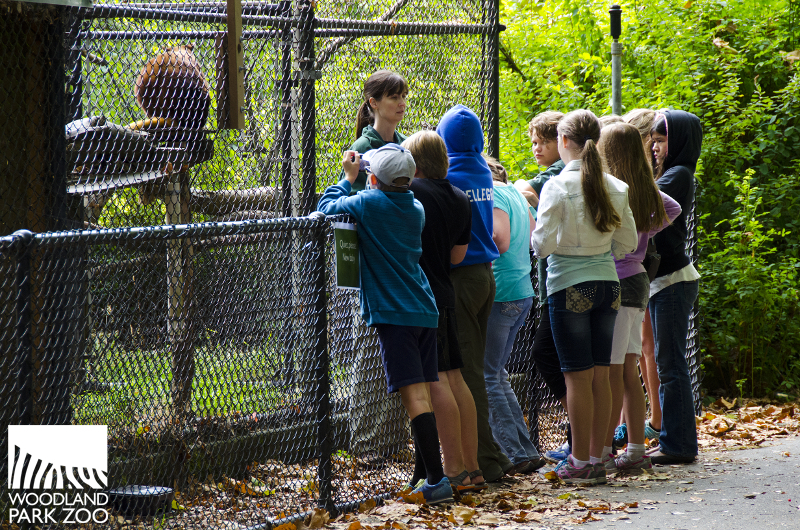 Pacific Science Center offers a variety of specialized, age-appropriate camps. PSC's offerings also include several camps held at the Mercer Slough Environmental Education Center in Bellevue. Dates: Dec. 19–22 and Dec. 26–29, 9 a.m.–3 p.m.
Do your kids dream of running away to the circus? Seattle's premier circus arts school is the place for them. SANCA’s day camp activities include lots of work on physical skills such as tumbling and trampoline. No prior experience is needed. Local hoops legends Slick Watts and Donald Watts offer three-day clinics. Coaches emphasizes ball handling, shooting and defensive movement, plus teamwork and keeping a positive attitude, because Watts Basketball’s mission is to help kids be the best they can be, in basketball and in life. Camp is appropriate for kids new to the game, as well as experienced players. Dates: Dec. 19–23 and Dec. 26–30, 9 a.m.–4 p.m. The Moonpaper Tent, a beloved art and theater center in Seattle's Maple Leaf neighborhood, knows how to feed kids’ imaginations so they grow and grow. 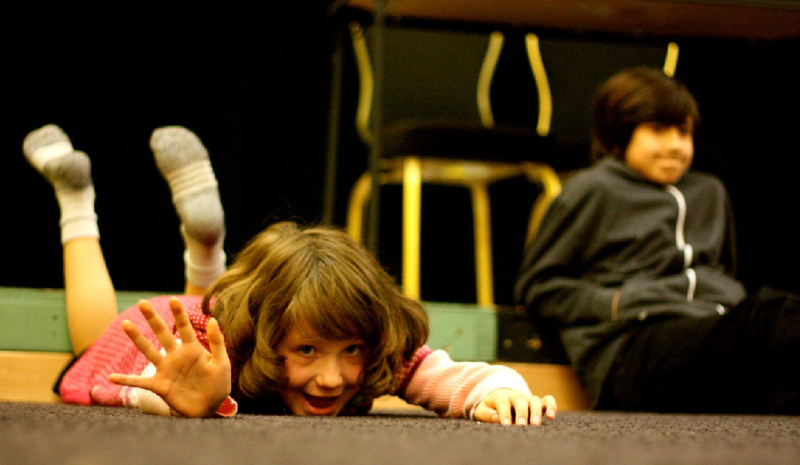 SCT will be a great venue for your budding actor. There are also a variety of one-day drama seminars for children grades 6-12. The Children's Museum has a bevy of cool-themed activities planned for each day camp. Inquire about sibling and 5-day discounts available. 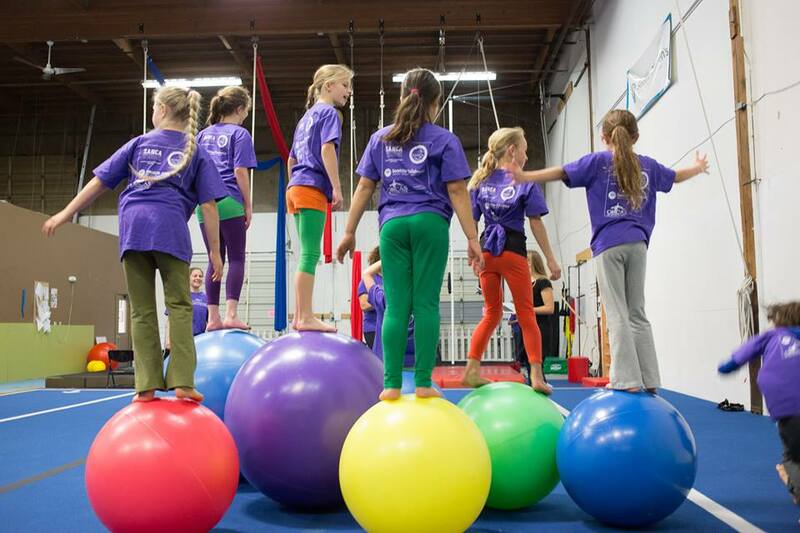 Seattle Gymnastics promises campers plenty of action with games, tumbling, the ever-popular foam pit and more. Parents can look forward to plenty of energy expended. No prior gymnastics experience is needed; ages 3–5 may register for half-day only and must be self-sufficient in the bathroom. Price: 1-day camps at $100; 4-days for $265; 5-days for $295. Campers sharpen their observation skills while learning about how to find, follow and identify animals in the wild, using the same techniques real scientists employ. In addition to tumbling and active play, campers at Dizzy’s will celebrate the cold, snow, ice and wind with projects and crafts around magical winter weather. Swimming might not spring to mind when you think of winter recreation, but swimming is Samena’s specialty and kids never tire of pool time here. Campers will also enjoy dry land activities, like sports, games and arts and crafts. Note: Children age 5 must be in kindergarten to attend. The "J" delivers its usual action-packed camp days this winter break, with widely varying themes each day. Choose any or all days to suit your needs. A sampling of activities at this super-active camp includes dodgeball, soccer, the ultra-popular Inflatable Fun Zone, Capture the Flag and much more. If you’re exhausted just thinking about it, that’s the point. Arena Sports offers camps at all three of its locations; children ages 3–5 may enroll in half day camps only. 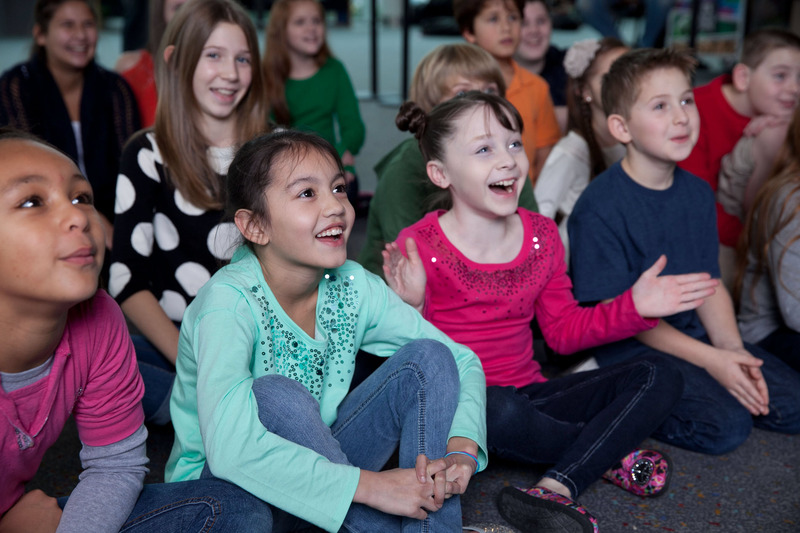 Dates: Dec. 19–23 and Dec. 26–30, 9 a.m.–3 p.m.
Olympia Family Theater makes fast-paced fun the focus of its camps, with participants creating their own fantasy worlds as they explore character development and participate in creative drama and storytelling activities. This winter break camp is just like summer camp, but colder! Each day includes cabin group activities, all camp events, and camper’s choice time. Winter is a great season to experience camp, participate in creative programs, and make new friends. 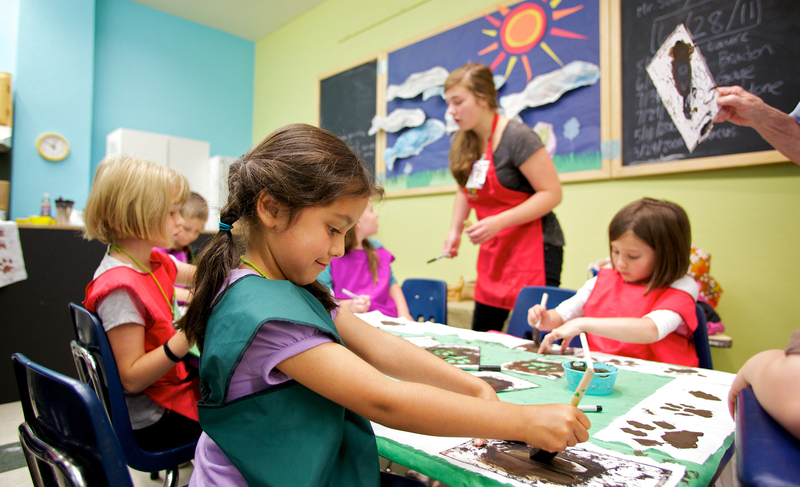 Younger campers (age 3 through kindergarten) explore themes such as the ocean, cooking and art. Campers in grades 1 to 4 have the chance to design wearable art pieces, play with chemistry and engineer exciting Lego creations. Dates: One-day camps, 12:30–3:30 p.m. Sometimes during school breaks kids have been known to utter that dreaded phrase, “I’m bored.” Fear not, this junior ennui can be quickly addressed at My Gym’s half-day camp. Just deliver your youngsters for three hours of tumbling, climbing, games, circle time, stories and art projects.